Barack Obama, now in a perfect IDGAF phase of his presidency, compared Republican presidential contenders to internet sensation, Grumpy Cat. 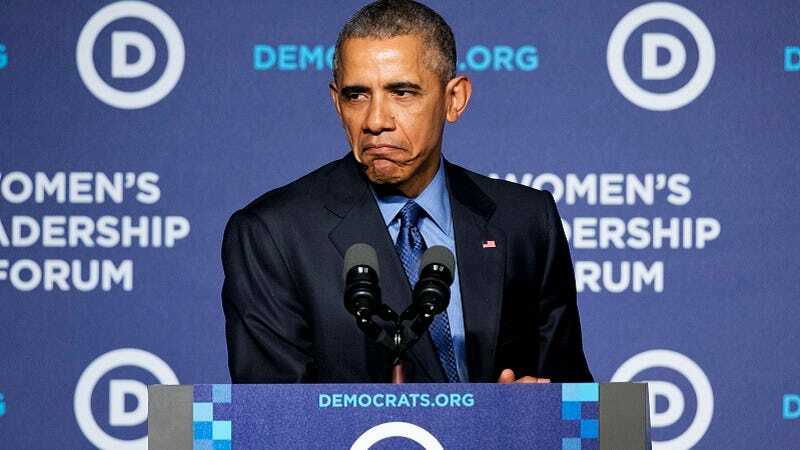 In a speech delivered at the Democratic National Committee Women’s Leadership Forum, Obama said that the GOP was painting a “gloomy” picture of America solely for political gain. “Overall, we are making enormous progress,” he said. “And it does make you wonder why is it that Republican politicians are so down on America? I mean, they are gloomy. They’re like Grumpy Cat.” And then he did his best impression of one of the internet’s most beloved cats. Way to (successfully) pander to women, Obama.